Honey – A Sweet Medicine? Honey is produced by bees and is derived from the nectar of flowers. It is a mixture of sugar and several other substances. The taste and texture of honey can vary, both due to the type of flowers that the bees access as well as how it is processed. In traditional Chinese medicine, honey is recommended for invigorating the health of the lungs, spleen, and stomach. Herbal doctors in China would also give patients honey to treat dehydration, pain, fatigue, and boost Chi energy. Other folk and herbal medicine traditions used honey for coughs, bronchitis, and bolstering immunity. It was also added to other medicinal ingredients to improve taste and make it more palatable to patients. The University of Ottawa conducted a study using Manuka honey, which is sourced from New Zealand’s Manuka bush. Using this, scientists were able to destroy bacteria involved in the development of chronic sinusitis, which inflames the nasal cavity and may impact sufferers for months. In a review of 19 medical studies on honey, evidence revealed honey can speed the healing of moderate burns by up to four days sooner. 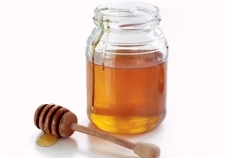 Honey should NOT be given to infants under 2 years of age, as it can contain botulism spores. The immature digestive system of an infant can’t kill these spores and could lead to poisoning and death, although this is rare. Consult a qualified health care professional on using honey for medicinal purposes. To Read The Full Article… Click On The Link Below.